ODIN is our online calculation tool, developed to warrant the user’s safety when using XSPlatforms’ fall protection systems. It is used to calculate any configuration of an XSPlatforms lifeline system and verify if it is compliant with the applicable standards. 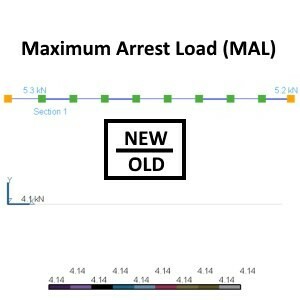 Span length, the number of spans, the maximum arresting force and initial deflection are just some of the variables that determine whether a specific lifeline solution is safe to use. System calculations are complex and unique for each system. However, they are mandatory and have to be done for each system configuration. Calculating each project can be time consuming and doing them manually increases the risk of miscalculations. ODIN eliminates the risk of miscalculations by doing them for you, based on just a few variables. The result is a detailed report of the test results for the complete system, and for each section individually. By filling in the specifications of a lifeline solution and whether it’s for fall restraint or fall arrest purposes, ODIN will automatically calculate if the specified solution meets the selected standards. Subsequently ODIN will create a custom report with all details and test results. Proof the system is in compliance with the applicable standards. Want to know more about why ODIN is important for you? Faster quotes, added value by being able to consult your clients. Want to know more about quick quoting with ODIN? What can I use ODIN for? Who is ODIN meant for? What's new in ODIN 2.5.2? ODIN is an online calculation tool, which calculates the performance of each custom lifeline system and gives a full report with the results. System length, the number of spans, the amount of users, the cable tension. These are just some of the variables that together, define the configuration of a horizontal lifeline system. 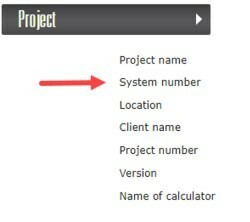 System calculations are mandatory, but can be a complex activity because every project is unique. By doing them manually, there is an increased risk of miscalculations. ODIN is very simple to use. You start by creating a new project. Then you fill in the parameters, step by step, that you need in order to calculate the horizontal lifeline system. Once you’ve filled in everything, click “Execute calculation”. The tool will now generate a report for you, containing all the information you need to provide your customer(s). All your projects and associated reports are listed in the project overview. You can use ODIN to precisely calculate the loads involved in the horizontal lifeline systems together with the lifeline deflection and with the minimum clearance needed to make a safe fall (in case of a fall arrest system). Thanks to ODIN, you and your clients are ensured the lifeline system complies with the applicable standard, without having to rely on manual calculations. This way if a fall accident does occur, the chance of injuries is reduced. Also, your clients have a report that proves the installed system meets the standards and guidelines. ODIN was developed for every professional who is responsible for calculating a project’s required horizontal lifeline systems. After you fill in the variables that apply to your situation, a single click will generate a detailed report for you. Online tool, which can be accessed from any modern computer with internet. Most precise calculation in the market. No manual calculations, no risk of miscalculations. Full service: offer complete safety documentation to your clients. Sales arguments backed by extensive up-to-date test data. When ODIN generates reports, pictures of base plates and foundation material are now included. The pictures will help make the report more visual for readers and possible clients. In version 2.5.2, additional information regarding system number(s) can be added to the ODIN report. Graphs in the test report were updated and they are more clear-cut now. These graphs ensure that reports are easier to read and more user friendly. ODIN provides more additional notes regarding safety factors in the calculation report. See the above picture for an example.